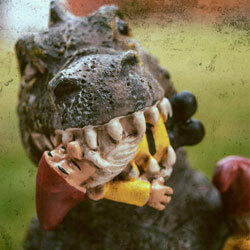 The Scarface Garden Gnome takes no prisoners! "Say hello to my little friend," is etched on the base of the Scarface gnome. 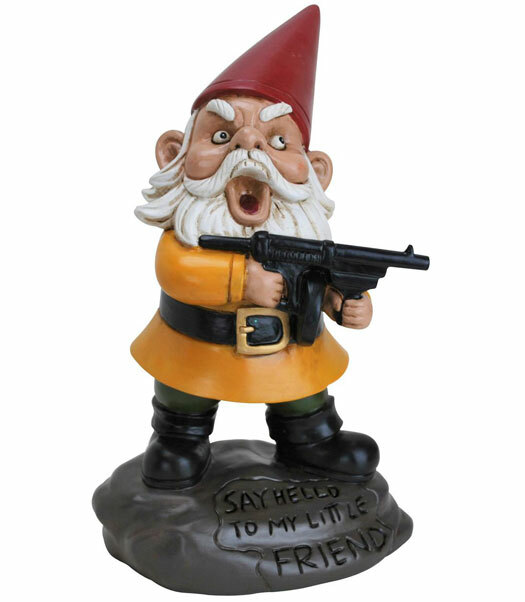 Gun in hand, this novelty gnome is in battle mode and has the battle cry expression to prove it. Trespassers will think twice about stepping foot in your garden. 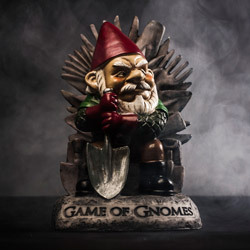 Standing 24 cm tall, this unique garden gnome is definitely big enough to send a message!